Is Your Roof Ready for the Challenges of Winter Weather? It’s important to keep your roof and gutters as clear of debris as possible. Leaves, pine needles and other debris hold moisture. Prolonged exposure to moisture can damage your shingles. In addition, debris in your gutters will form gutter clogs. Clogged gutters will overflow, damage your roof and cause the roof to leak. Fortunately, we can install seamless gutters and a gutter protection system to greatly reduce the risk of clogged gutters and other gutter problems. As an experienced wood window replacement and roofing expert, Kroll Construction strongly recommends scheduling regular roof inspections throughout the year. Our inspections will find and fix small roofing issues before they turn into costly repair problems. Even the smallest crack or gap between your shingles can cause leaks if it is left unattended. By dealing with these problems early on, you’ll be more confident that your roof can withstand winter weather. Your attic needs to be properly ventilated and insulated to make your home more energy-efficient and to protect your roof. Without proper ventilation, moisture and heat will build up in your attic, which can cause damage to your roof’s supports and can lead to mold growth and rot. Without proper insulation, the heat will escape from your attic through the roof surface which can cause ice dams to form. 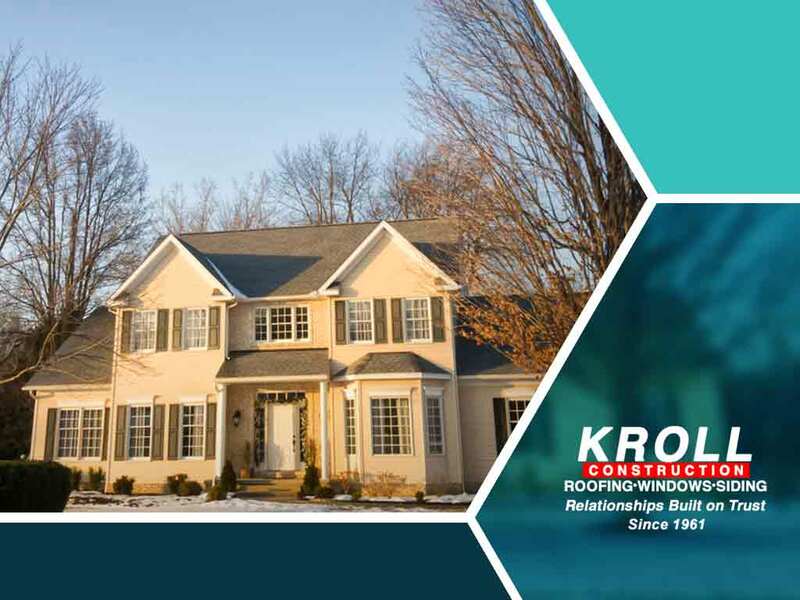 Kroll Construction can help you with all of your wood window replacement and roofing needs because we have decades of experience and certifications from top manufacturers. You are always our number one priority during the project, which is why we will recommend and use the best solutions for your problems and why we won’t stop until you are satisfied with the results. Call us at (844) 688-9632 to learn more about our services and products or to get a quote. We serve Detroit, MI, and nearby areas in Michigan.